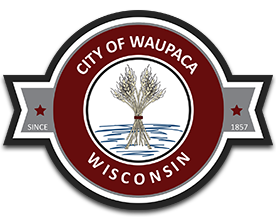 The City of Waupaca accepts payments online for various services such as utility bills, parks & recreation programs, building inspection payments. We utilize two different services depending on the type of payment you wish to make. This is detailed below. *Please Note: You will need your current bill with the account number (customer number) to complete the registration. Please click the item below to go to the log in page. Enter your email address and password in the ‘Returning Users’ section to log in. Click here to access our payment page. *PSN payments for Water/Sewer and Waupaca Online bills allow you to view your bill online and create an account specific to your account. Point and Pay allows you to make one time payments toward these bills. Using Point and Pay you will need to know the amount you wish to pay based off your latest bill. The City of Waupaca utilizes Active Network to handle our Parks, Recreation and Senior Center management and online payments. Fees: Built into program/reservation pricing.